Description: A light to dark-olive green frog with a creamy yellow underbelly, frequently with dark spots and blotches. Adults are 3-8.5″ nose to end. Call: A deep bellow, listen here. 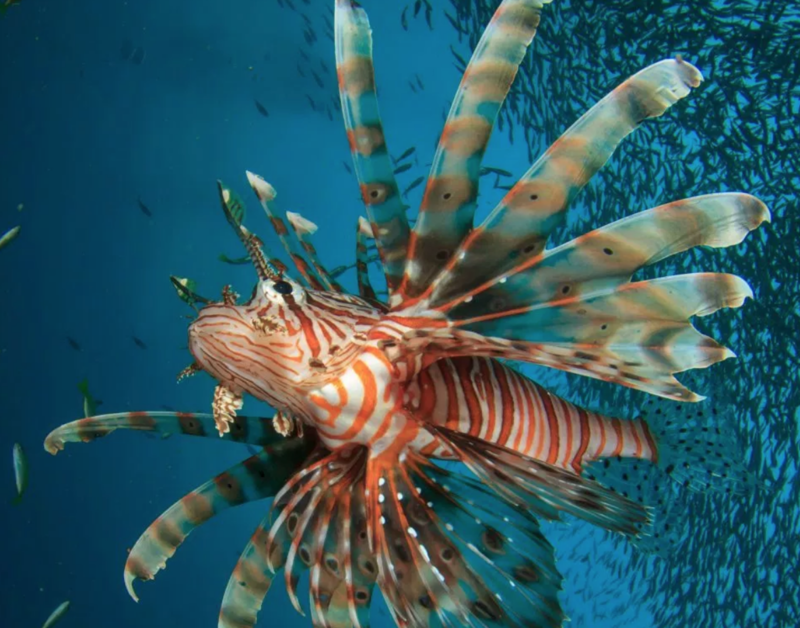 “They live in a wide variety of habitats, colonize new ones readily, and eat everything that fits into their mouths,” says Dr. Peter Moyle of the Center for Watershed Sciences at University of California, Davis. What he calls “superfrogs” sound eerily like humans, don’t they? What does that make us? “Gape-limited predators” is what they call such creatures. 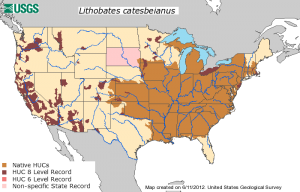 The American Bullfrog is native to the east and central US (orange) and invasive in the west (red). It has also invaded Hawaii and Puerto Rico. The USGS summary of the bullfrog’s diet includes anything it can overpower and stuff down its throat: insects, fish, birds, rodents, snakes (A 3-foot garter snake? No problem! ), small turtles or hatchlings, salamanders, bats, frogs, tadpoles, even bullfrogs. Its invader’s appetite is to blame for the decline of at least a dozen NA amphibians. It grows so big (It’s NA’s largest frog: 6″ from nose to rear, 18″ from front toe to back toe; 1 1/2 lbs in weight.) that over 40 frog-eating countries, in search of ever-larger frog legs to devour, imported and farmed it–only to discover there’s no frog farm that an American bullfrog can’t take a flying leap from. It has been declared invasive in at least 15 countries. Then there’s its reproductive rate: a female lays 40,000 eggs per clutch, of which 5,000 hatch–in 3 to 5 days. In its native range east of the Rockies, it’s been named “state amphibian” of Iowa, Missouri, and Oklahoma. Outside its range,some states and countries have banned import of the species and there are drives for more bans. 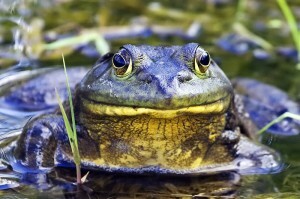 The American bullfrog is considered invasive west of the Rockies in the US and in British Columbia. Why did the frog cross the mountain? Blame it on the Gold Rush. In the late 1800s, after gold miners had eaten the California Red-Legged frog (Rana dratonii) to near-extinction, bullfrogs were brought to California by both private and government efforts. Today the bullfrog has eaten that same native frog back to the same parlous state. In Oregon bullfrog-farming was tried in the 1920s. 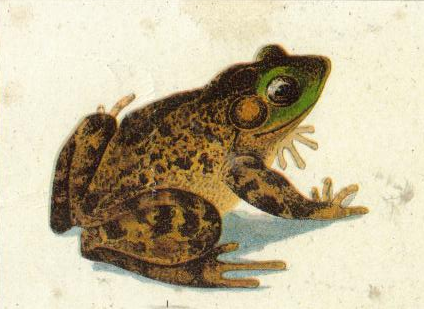 Though demand died out in the 1930s, the frogs didn’t. You get the picture. The species has been introduced on four continents where, invading a new habitat, it either eats the natives or outcompetes them for other food. In South America, the bullfrog’s conquest easily outdoes Pizarro’s: it has claimed seventy-five percent of the continent. As the climate changes, protected forest areas such as the tropical Atlantic Forest, a biodiversity hotspot, are likely to become less hospitable to native species and more suitable for the invader. In Super Species: The Creatures That Will Dominate the Planet (Firefly Books, 2010) Garry Hamilton details the “super species” that seem to have won the natural selection sweepstakes. These include the European green crab, the giant African land snail, the Argentine ant, the nutria, the zebra mussel, the chytrid fungus, and killer algae (all of which have all too successfully invaded the US.) To these he adds the American bullfrog, which he contends is more invasive than Australia’s notorious cane toad, at home and abroad. 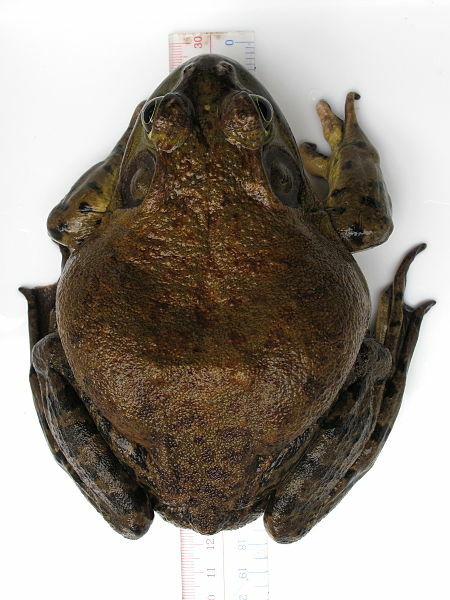 American bullfrogs farmed for the international restaurant trade have been found to carry amphibian chytrid fungus (Batrachochytrium dendrobatidis) a skin disease that has driven up to a hundred amphibian species on the earth extinct. The fungus is “possibly the most devasting disease to affect an entire class of animals,” Robin Moore of Conservation International told The New York Times. Where do the frogs get it? Down on the farm: they’re raised in crowded containers where they clamber over each other through shared water,and then they’re shipped live in more of the same, ideal conditions for spreading the waterborne fungus. An appallingly high percentage of the millions imported to the US annually are infected. 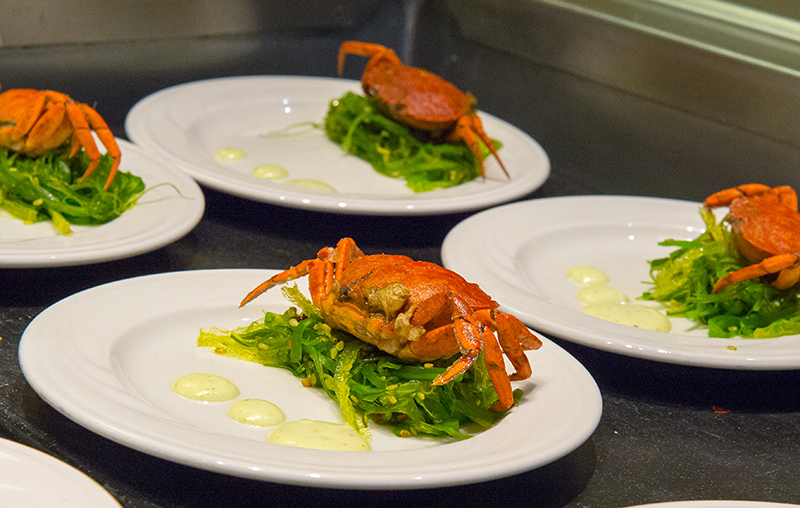 We eat a fifth of the world’s frog legs and are the third largest importer. What exactly are we importing? Farmed American bullfrogs. How sad is that? Frogs’ legs and humans go way back. Way back. By the first century A.D. frogs’ legs were being eaten in southern China. The Aztecs were partial to them. In 12th-century France, to slim down its monks, the Catholic church ordered the men to abstain from meat on certain days. So they got frogs reclassified as fish, not meat. Pious, hungry peasants were delighted by the news. A national delicacy was born. Read our Armchair Forager’s “Frog in the Swimming Pool” here. The question for the invasivore is, Are bullfrog legs okay to eat? Save the Frogs! an American charity devoted to amphibian conservation, says no. The American bullfrog is the most commonly farmed frog around the world, at least partly responsible for the devastating spread of chytrid fungus. 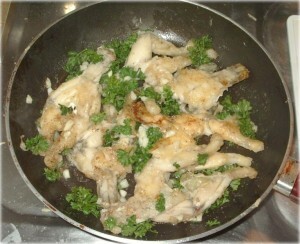 Never purchase frog legs, and spread the word to businesses that do: take farmed and native species off the menu. So that leaves “gigging” the invaders west of the Rockies–and even then you may be hunting recently imported invaders from international frog farms, not invaders descended from the post-Gold Rush US frog farms. Gigging, one of New Orleans chef Paul Prudhomme’s fond memories of childhood, is the traditional way of hunting them: in the dark, you paddle your canoe or pole your flatboat in a stream or swamp. When you hear a frog, you shine your headlamp at it, causing it to freeze in place as long as you make no sudden moves on your way to capturing it with your frog gig, a small spear with three to five prongs. Poach the frogs’ legs in an excellent white-wine court-bouillon. When cooled, trim them properly, dry them thoroughly in a piece of fine linen, and steep them, one after the other, in a chaud-froid sauce of fish with paprika, the tint of which should be golden. This done, arrange the treated legs on a layer of champagne jelly, which should have set beforehand on the bottom of a square, silver dish or crystal bowl. 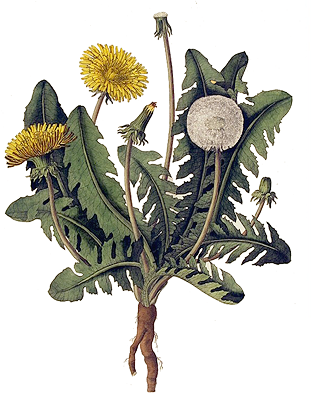 Now lay some chervil pluches and tarragon leaves between the legs in imitation of water-grasses, and cover the whole with champagne jelly to counterfeit the effect of water. Send the dish to the table, set in a block of ice, fashioned as fancy may suggest. Do you have amphibian invaders in your backyard pond? The first time I tried frog legs was at a Chinese sushi buffet. Believe it or not, I also had crayfish which is listed here as invasives to eat. Both were excellent! 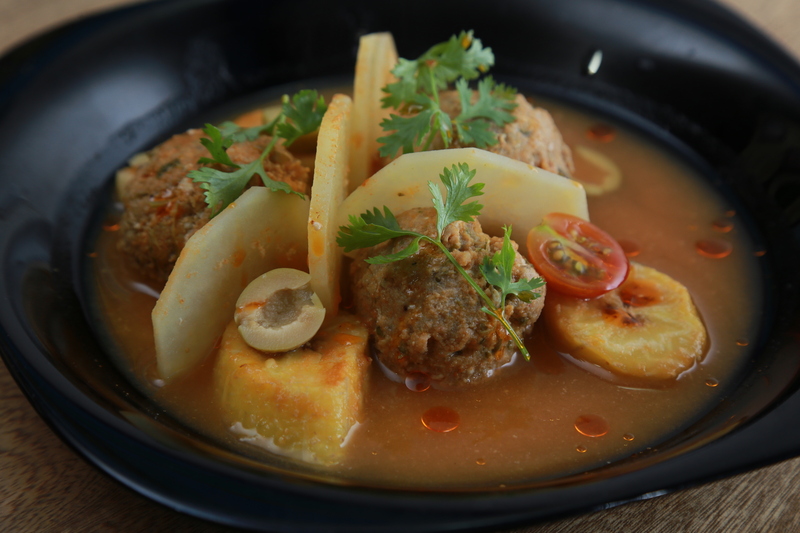 Of course I eat things like tripe, pork organ soups, and even snails. I just wish America would open up a bit more. If the French can do it, so can you? The carrot of convivial gastronomic pleasure is more persuasive than the stick of food scarcity.